http://www.carmelites.net/news/chalking-door-2018-epiphany-house-blessing/ Original by DARYL MORESCO, OCARM. 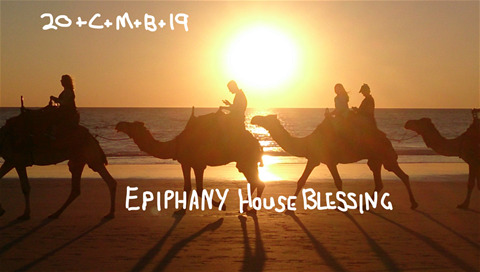 Every year the Carmelite Pre-novitiate Community at Carith House in Chicago on the Feast of the Epiphany blesses their home. We invite you to adopt this custom in your family. 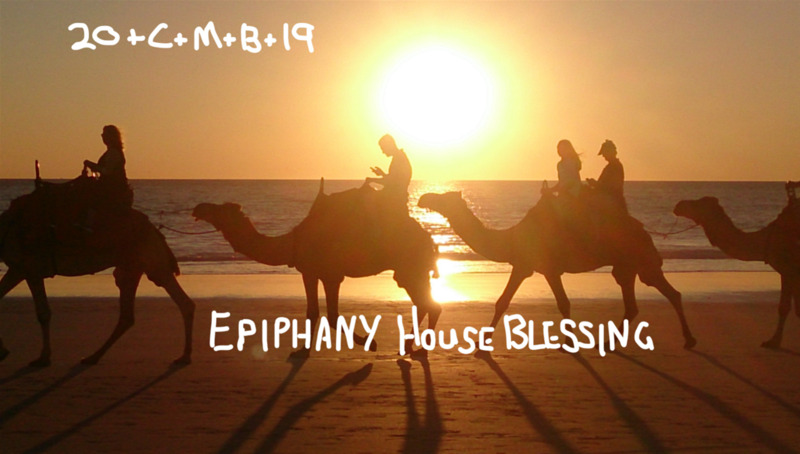 On the Feast of the Epiphany, the family gathers to ask God’s blessing on their home and on those who live in or visit the home. It is an invitation for Jesus to be a daily guest in our home, our comings and goings, our conversations, our work and play, our joys and sorrows. A traditional way of doing this is to use chalk to write above the home’s entrance. It can also be written somewhere inside the home. The “+” signs represent the cross and 2019 is the year. All: Lord God of heaven and earth, you revealed your only begotten Son to every nation by the guidance of a star. Bless this house and all who live here and all who visit. May we be blessed with health, kindness of heart, gentleness and the keeping of your law. Fill us with the light of Christ, that our love for each other may go out to all. We ask this through Christ our Lord. Amen.